Benchmark scores for the Nvidia GeForce GTX 1660 Ti have appeared in the official Final Fantasy XV results browser listings. 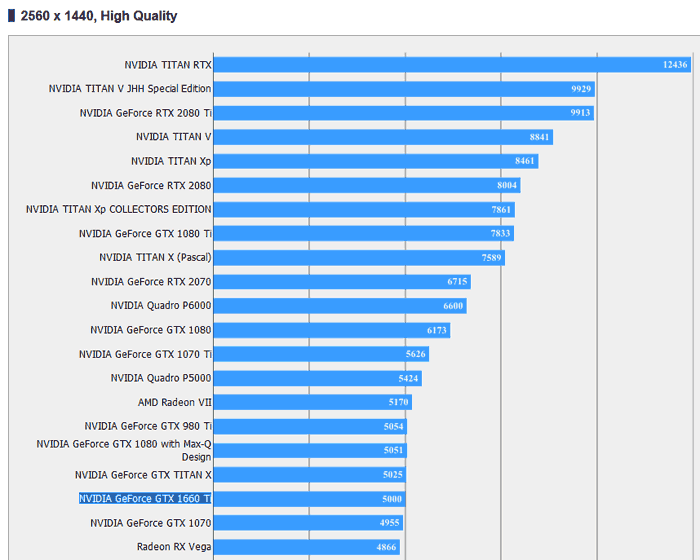 We saw the first benchmarks for a purported GTX 1660 Ti about a month ago, in AoTS, but the FFXV benchmark (despite its own particular character) is probably a better reference, and its official charts are great for quick comparisons. Again, the person who first spotted these benchmarks was @Tum_Apisak. The score of 5000 points in FFXV at 1440p High Quality preset seems to be rather impressive for this yet to launch graphics card 'mid-range hope'. I've cropped off the lower part of the table for compact comparison, but you can see the full table here. In the section of the table the GTX 1660 Ti resides it is very very close in performance to the GTX Titan X, the GTX 980 Ti, the GTX 1080 Max-Q, the GTX 1070, and the AMD Radeon RX Vega. 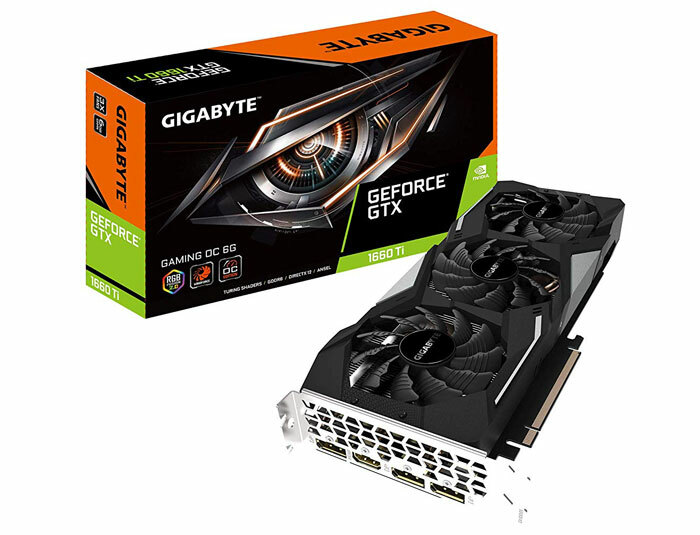 The table doesn't show you something very important and that is the pricing of the graphics cards that the GTX 1660 Ti is rubbing shoulders with. Sticking with USD pricing for the current time, the GTX 1660 Ti is supposed to launch at $279, compare that against the $399 GTX 1070, where available. To move up to a GeForce RTX 20 card, more specifically the RTX 2060 with more CUDA cores, RT capability, and DLSS functionality, the starting price is $349 (sadly this card is missing from the FFXV benchmarks though). It is possible that the GTX 1660 Ti might fall behind the pack it nestles amongst (at 1440p) if we move up to 2160p (4K gaming). Those cards mentioned above all come packing 8GB of VRAM, but the GTX 1660 Ti has just 6GB, and it looks like there will be 3GB versions launched too. The expectation is that Nvidia will launch its GeForce GTX 1660 Ti graphics cards on Friday 22nd Feb. Various leaks have already shown off boards from most popular AIBs. 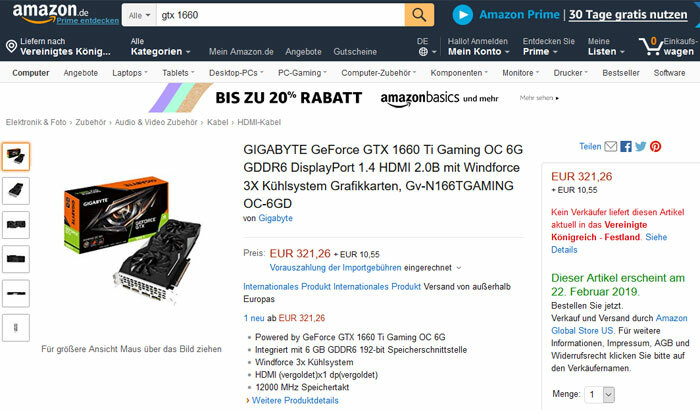 Euro pricing for the Gigabyte GeForce GTX 1660 Ti Gaming OC 6G WindForce 3X and launch date of 22nd Feb appears to be confirmed by an Amazon.de listing that has just appeared. I've added a screenshot below, and main image above, in case it gets removed. For £20 more you can get a Sapphire Vega56 Pulse on Overclockers which would put you close to 1070ti stock levels and not 1070 levels of performance. That's what i would get. i read a lot about the vega 56 being the ‘sweet’ spot in the mid range GPU wars. was tempted to get one of them myself to side step and upgrade a little from my gtx 1070 but couldn't be bothered in the end. 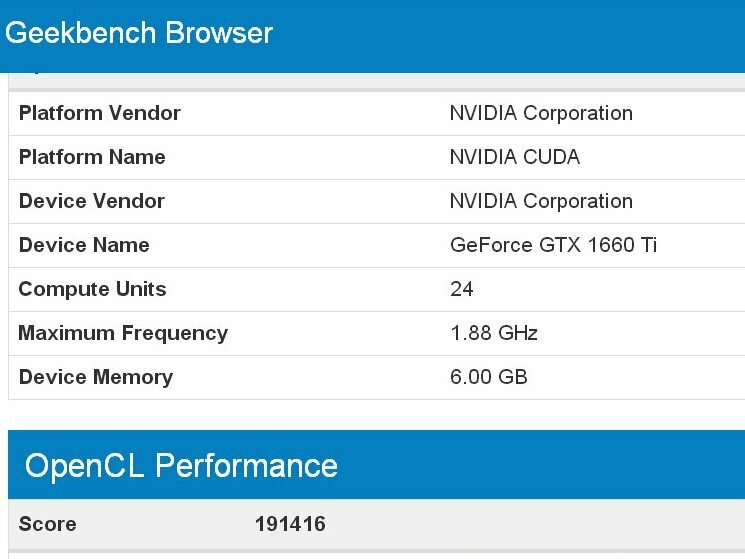 Also, not sure how the FFXV benchmark is a better reference when it clearly has a nVidia bias. Both Vega's are quicker than a 1070 and the Radeon VII is around 1080ti levels. Hexus must know this but choose to publish without a qualifier anyway. Read into that what you will. Tum Apisak has shared more AoTS and Geekbench scores for the GTX 1660 Ti in the last few hours. It's really hard to tell what the price will be in Sterling due to the fact the Amazon listing was an import from the US. On Amazon.co.uk it was listed at £281.